Milwaukee born and raised Colectivo Coffee seems to constantly roll out the types of charitable efforts we love at GMM, the ones men just may do, namely easy ones. Buy something, give something is usually the model here. It's a bonus when what you buy is exceptionally good, and in the case of what we promote at GMM - man-friendly. Well, for Colectivo that's fairly easy - coffee is after all universal and their products are as a rule exceptional. Right now their Coffee of the Week is a Featured Farm Series coffee that checks all the boxes. 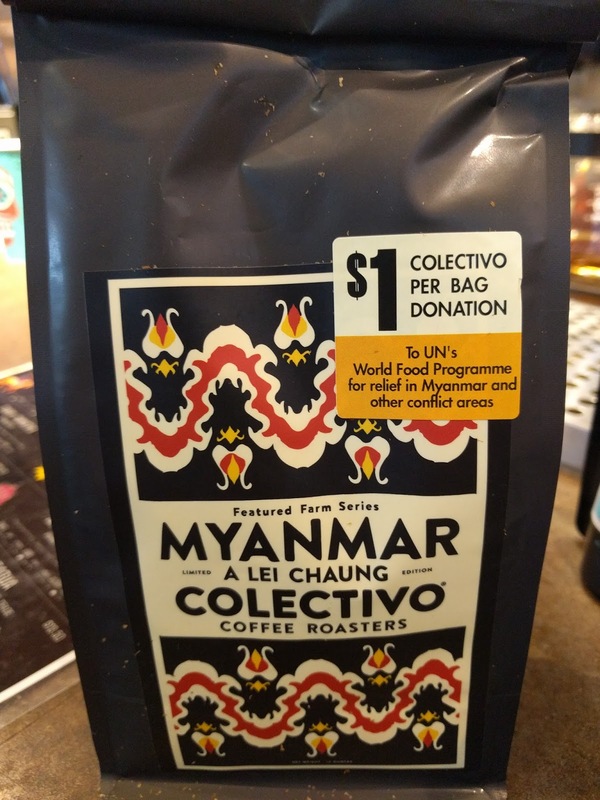 Buy a bag of this unique, flavorful coffee and $1 goes to relief efforts in Myanmar by way of the UN's World Food Programme which helps not only Myanmar but other areas with conflict. When buying the coffee you are not only supporting the program, you support Myanmar's coffee production and help its economy and its people as well so it's doubly good. A Lei Chaung, this particular harvest, is located in eastern Shan State and has 160 families who sell their ripe cherries to their village’s specialty coffee production group. Colectivo describes that coffee as having notes of aged bourbon, candied green apple, licorice root, and cherry cordial complemented by a thick body. You had us at bourbon. So head on over to Colectivo and pick up a bag, they are already sold out online so you have to grab what you can from their cafes.